Le Relais des Pins has offered traditional maple flavoured meals for 3 generations. A friendly atmosphere with folk music will warmly welcome you. 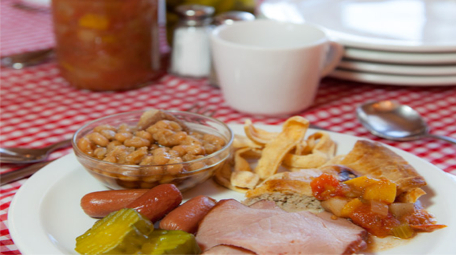 With family, friends or colleagues, a visit to the sugar shack is a great treat each year. 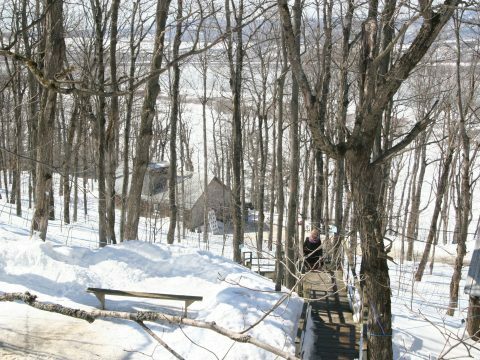 From March to April, you can come and visit us during the heart of the maple syrup season. 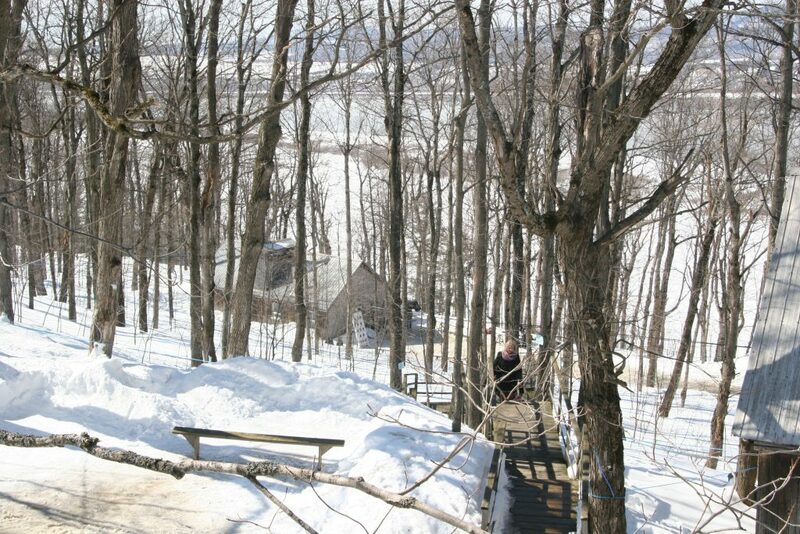 You can learn about the maple syrup craft while having and authentic meal and tasting our fine maple products. 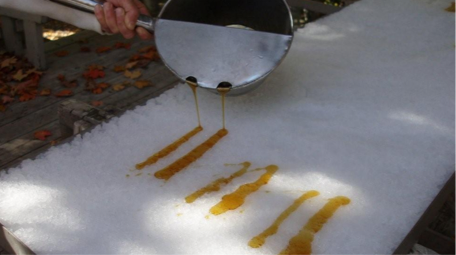 A sugar shack experience is available throughout the year, including taffy on snow even in the summer! Le relais des pins featured in Canadian Pancake Guide.